This is a guest post from Todd Broderick, a fellow Boston-based wine enthusiast. It’s October and it is snowing in Boston. . .oh, how I long for a visit to the beautiful hills of wine country. Over the past several years I have been fortunate enough to make several trips out to wine country from Boston with my wife and friends. We usually stay in Sonoma for 3 or 4 days and make our way over to Napa, up to Healdsburg and Dry Creek and several other stops throughout the region. I find that I love traveling there virtually any time of year, but if you have never been, the fall is a beautiful time to go. Depending on the weather that year, you’ll catch the end of harvest or you will be in the midst of crush, either way both valleys are awash with activity. Even for those that don’t have an obsession with wine; it is still a pretty cool sight to see the magic happen from grape to bottle! I could write about both Sonoma and Napa for days, but I’ll keep this brief for the benefit of all, and focus on Northern Sonoma. When traveling to wine country, you can’t lose, even if you choose to spend your time on what I call the “auto-mile of wineries” known as route 29, running though Napa. However, the advice I have given friends is to take the less traveled path and make your way through Sonoma. You will be enamored with the sense of place and the spirit of the people and you will leave with a definite plan to return. This is not meant to be comprehensive, by any means, I am simply making an effort to provide one possible starting point for your travels. If you ask friends who have been, to recommend their favorites, you will get just as many differing opinions back as inquiries made. I tried to base the advice below on my experiences over multiple visits. I feel like this takes out some of the emotional ties to a place based on who you were with, the weather that day, the extra large pour from the tasting room host, etc. While all of Sonoma is beautiful, if you head north into the Healdsburg and Geyserville you will be rewarded with beautiful landscapes and phenomenal wineries. Call ahead. Think about the wineries you might like to stop by and give them a call. Many have open tasting rooms, but if you are not sure, give a ring and see. Most of the people I have encountered have been great and many are willing to set up a specific tasting and/or tour, which can make the visit a lot more interesting. You may get the winemaker or owner on the phone, which has resulted in some of our best visits. Start with a plan! If you aim for 3 to 4 wineries in a day you will give yourself plenty of time and not feel rushed or stressed. It also leaves you time to make random stops at places that look good along the way. Bring some cheese! Always stop for a good lunch and dinner, the quality of the food is as amazing as the wine. But you should definitely start your day with some snacks for later. Find a cheese shop or deli and grab a hunk of cheese, a loaf of bread or some crackers (some water can’t hurt either) when you head out in the morning, you’ll be thankful by noon that you did. Don’t forget to pick up a little knife to cut the meat and cheese. 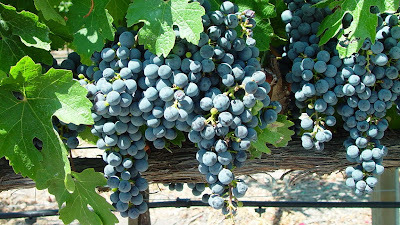 Aside from trying some of the best artisanal breads, cheeses and cured meat you will ever taste, it is worth keeping your stomach full and your palate refreshed with something other than Zinfandel. The cheese factory on the plaza in Sonoma and the Oakville Grocery in Healdsburg are two great spots for provisions. Bring a portable GPS! Especially if traveling with a spouse or someone that likes to navigate. Shell out the $200 if you don’t have one already, or the extra $10 in the rental car and program in your destinations. You will see some beautiful roads and not be distracted by a map! 5 can't-miss recommendations for wineries in northern Sonoma County. Question of the Day: Any other tips you'd like to share to make a trip to wine country more enjoyable?